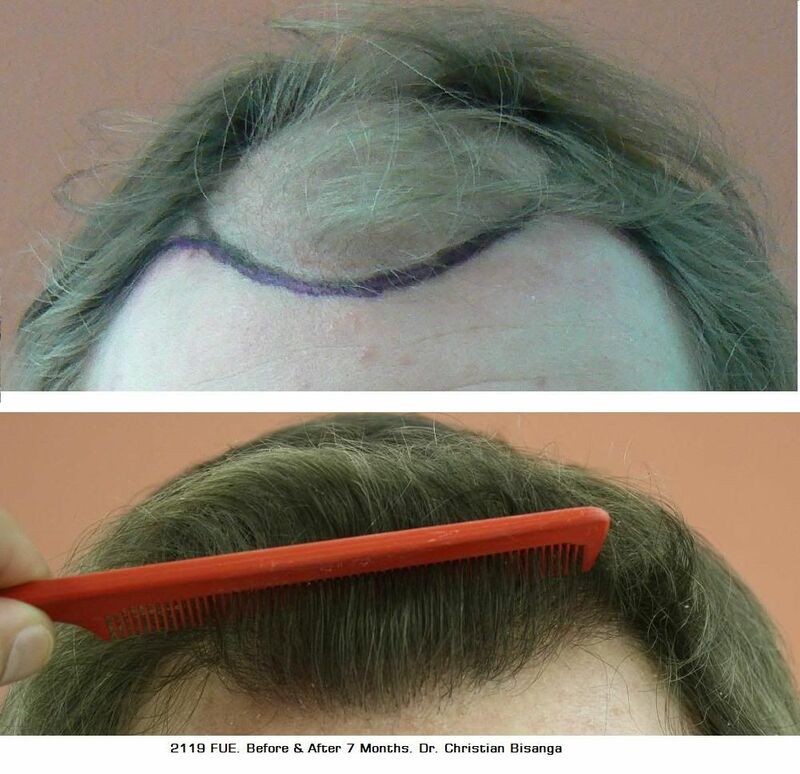 That’s amazing coverage, only 2119 grafts, fantastic! Thats real nice,thats the kind of result i am looking for. » Thats real nice,thats the kind of result i am looking for. ditto one of the nicest FUE I have seen lately, small # of grafts, fantastic yield. » many times will need close to 3000 grafts. This is a great example of a conservative approach that produced an excellent and natural result! The patient has enough donor for a teenage hairline but used common sense and saved much of it for later. Thus, it can be placed in a MUCH more overall meaningful and cosmetically pleasing manner than if it were used now. This particular HT fits into what I term the “smart transplant” category. I give this effort a 5 star rating out of a possible 5 stars. » » many times will need close to 3000 grafts. » a possible 5 stars. this is what im looking for. his hairline looks good even if its a conservative approach. it doesnt look like he has got big temples. it just looks like a normal hairline. I totally agree, classic conservative look that works extremely well for him. It’s a good hair transplant but on an avergae scale. Not something I’d jump to. That is NOT 1/3 of the scalp. Thank you for the comments, the approach was basically decided between patient and Doc. and with his hair characteristics seemed the most sensible. Although his donor density was not poor he did have a higher degree of miniaturisation and especially in the lower area, around the back of the ears and dropping to the nape. This made it ill advised to harvest from there and reduced the surface area of the donor so after discussion, a few different hair line designs this plan was decided on. Appreciated this approach some may not find appealing, open temples no thick wall of hair in the immediate front line but the fact is he never had that in the first place, did not want it now and even if he did would have not been appropriate when looking at his interests in the future. 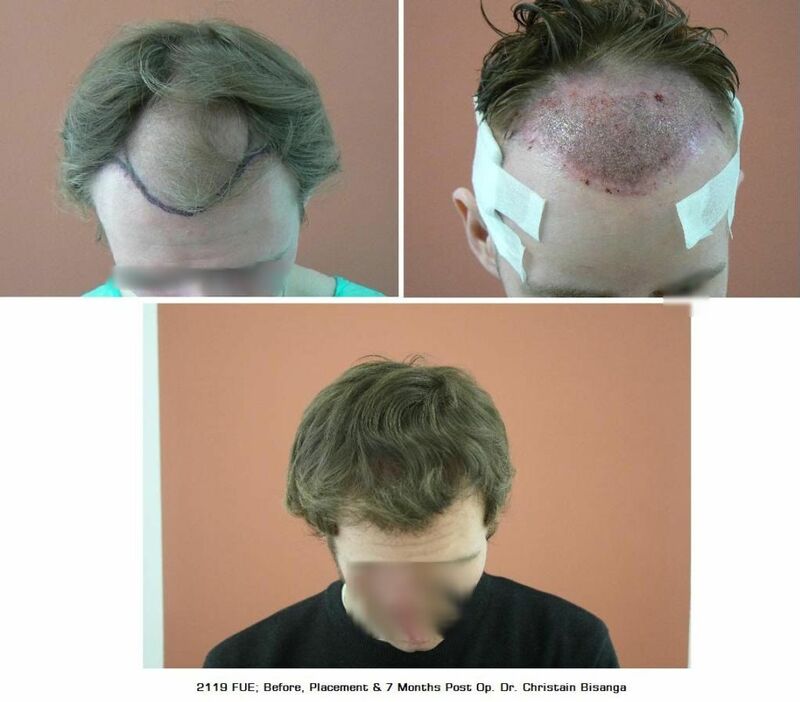 He’s a young man, mid/late 20’s and many want to achieve the look of no hair loss, some want to take it further and maybe even design better than before hair loss. This comes at a price and in some cases a high price. Because hair loss is emotive it’s easy to wish for more now, be careful sometimes wishes come true today and become nightmares in the future. Because hair loss is emotive it’s easy to wish for more now, be careful sometimes wishes come true today and become nightmares in the future. » sometimes wishes come true today and become nightmares in the future. Hi canadadry & goodluck, sorry for missing your question earlier. There is obviously a minimum density of FU that needs to be placed to ensure the result looks solid but it is not the sole aspect that makes up the HT. 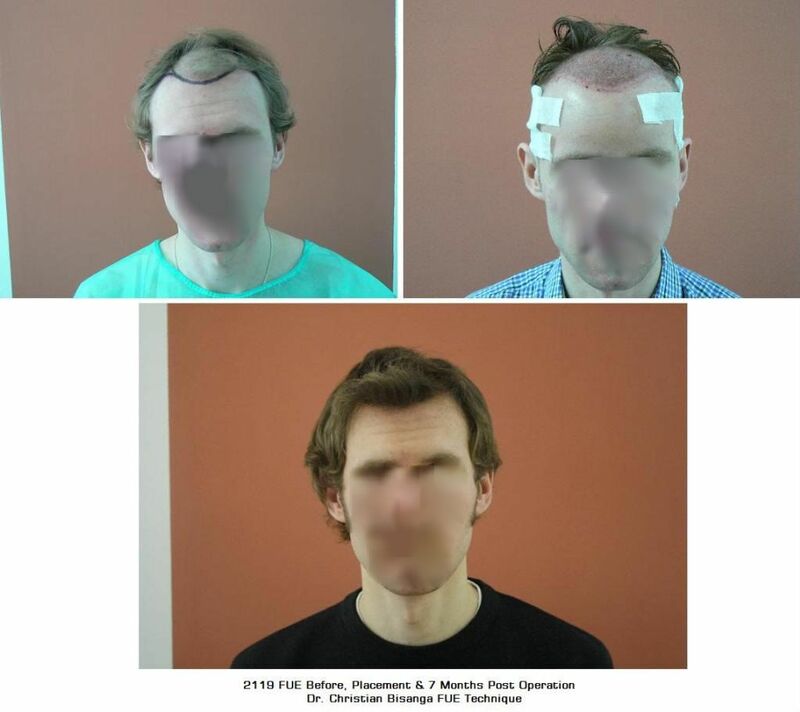 The distribution of the grafts, single and multiple hair units is very important, if the person’s characteristics are good and as in this case hair to skin colour low also this can aid in being able to cover a larger surface area with fewer FU per cm2 and still achieve a natural result. Nice work. Looks really good at the 7 month mark. Will only fill in more in the upcoming months. » in the upcoming months. Does this mean the temples were not closed at all or just with less density? The comb through pictures look like hair has been transplanted all the way. This may be a good approach as many tranplants seem fine from the front but are ‘off’ at the temples. I think this result looks very natural for the amount of grafts. What is the minimum density so that the transplanted area is solid and not pluggy? what looks unatural about it? The pictures are not so clear , but I dont think it looks fake. » but are ‘off’ at the temples. » I think this result looks very natural for the amount of grafts. This involved creating the angle with the lateral to extend the hair line and “close the temple”. Also what you have to appreciate is some guys are really not looking for this approach and may see it as unnatural, when ascetically there is obviously nothing unnatural about it but the result is just not what they are looking for. Possibly they look like him now and want to “close temples”, lower the hair line by a few cms and have a thicker heavier wall of hair in the immediate front line. Horses for courses in my opinion, as long as an educated view to harvesting is taken; possibly they confused their words, using “unnatural” but meaning, “not what I would like”. » That is NOT 1/3 of the scalp. 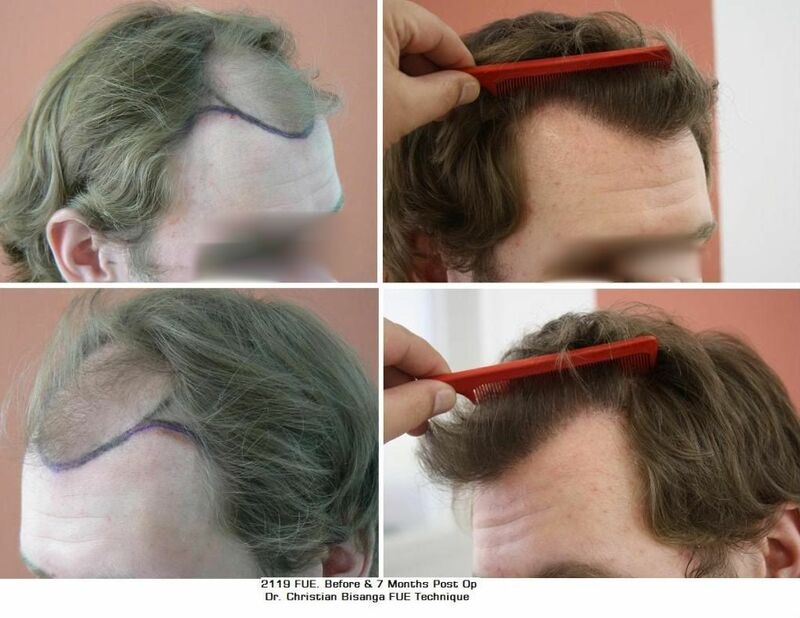 If you want the Armani front loading hairlines, then this does not compare, but if you want the “less is more” look without using up a large amount of your donor, this is as good as it gets with only 2000 grafts.